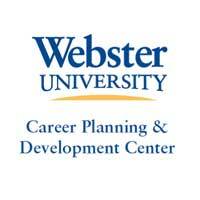 It has been a busy time for Webster’s Career Planning and Development Center (CPDC) as it continues to connect students with employment opportunities. 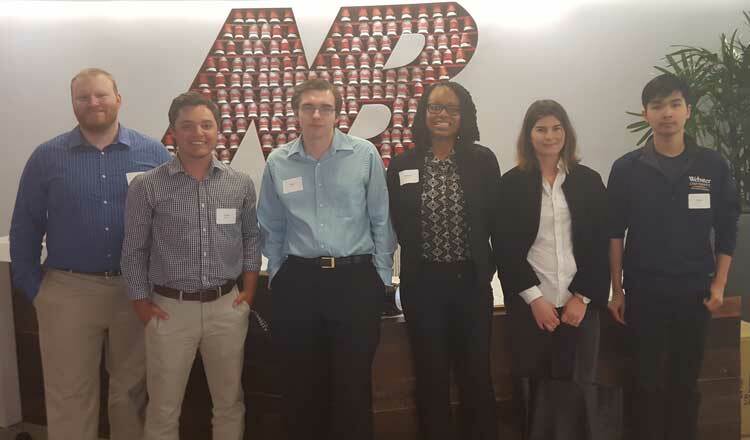 Footwear manufacturer New Balance recently welcomed Webster University students to an open house tour of their new Laumeier Office Park facility in Sunset Hills. Webster was one of only two St. Louis area universities invited thanks to the partnership with New Balance and the CPDC. Representatives from the Central Intelligence Agency (CIA) and Six Flags St. Louis Hurricane Harbor returned to Webster’s home campus as part of the on-campus recruiting services also offered by the CPDC. Recruitment efforts continue through GorlokJobs, Webster’s online recruiting and career management system. For more information, students can log in to GorlokJobs. Footwear manufacturer New Balance has moved over 200 employees from a location in Fenton to Laumeier Office Park in Sunset Hills. New Balance was eager to invite Webster University students to their new location and partnered with CPDC to make it happen. Webster students attending included: Agnes Bendsak, Daniel Cohen, Brety Jungles, Hoang Nguyen, Relissa Norman and Michael Schleiffarth. Students and staff were welcomed by New Balance executives and staff for an information-filled evening that included a tour of the space, presentations by key departments and a networking reception. New Balance representatives explained their motto “Always in Beta” meaning they are always looking for ways to improve and grow. “New Balance has initiated a partnership that will benefit many students at Webster University. Through internships and entry-level opportunities, New Balance is ready for Webster University students to be a part of their growing company,” said Trezette Dixon, assistant director, Employer Relations. The Central Intelligence Agency (CIA) returned to campus this semester for a full day of recruiting activities hosted by the CPDC. The day included: on-campus interviews for full-time positions and internships, recruiter-in-residence and an information session. Many students took advantage of the opportunity to meet with the two recruiters that traveled from Chicago and Washington D.C. to reveal the mystery behind the CIA. Students who attended the information session, “Careers with the Central Intelligence Agency” were intrigued to learn more about the new initiatives at the CIA. Students learned about the five directorates of the CIA, including the innovative Directorate of Science and Technology. The recruiters delivered a fascinating presentation about the exciting and challenging work of the CIA and its national and global impact. As summer quickly approaches, Six Flags St. Louis Hurricane Harbor returned to campus recruiting for lifeguards, guest relations and a variety of other park opportunities. Recruiters, Mike Neace, manager of Hurricane Harbor and admissions and Matt Bosslet, ride areas manager were eager to greet students in the East Academic Building Edward Jones Commons. “Opportunities at Six Flags St. Louis align with many of our majors,” said Dixon. "In addition to seasonal opportunities, operations department is recruiting for openings that are available year round. I was excited to hear that they would like to offer internships in the fall." Students interested in lifeguard positions and other opportunities should contact Mike Neace at 636-938-5300 extension: 6728 or mneace@sftp.com.